When I was young it was my dream to be the President of the United States. At five years old until around middle school I adamantly expressed my aspiration of becoming the leader of the free world to anyone who would listen and even to those who didn’t. Many thought this was silly but to me it was reality. Fortunately, I was blessed with parents who were able to provide many opportunities while always supporting me no matter what. I was always told that I could do anything I wanted and I believed it. Encouragement is important but without a viable pathway toward success, sadly it can futile. I no longer wish to pursue that lofty career goal but I do, however, want to be an advocate promoting important issues that I am passionate about. One such issue is the increased need for quality affordable child care and early childhood education, especially for children from low-income families. Going into my third and final year of law school (thank goodness) I knew it was important to think about the trajectory of my career when determining where to spend my final summer before finding actual employment. Since the beginning of my law school career I have been interested in taking a somewhat different post-graduation route than many of my fellow classmates. I plan to employ the legal knowledge and skill I have attained to really help people in a meaningful way, but on a more holistic rather than individual level. Having a strong understanding of the law can be utilized as an essential tool in promoting important policy and social change benefiting those who need it most. In my search for a summer internship, I knew that I wanted to get involved with an organization doing positive work at the national level. Opportunely, I connected with some great people at Child Care Aware® of America and shortly after, enthusiastically accepted a summer policy internship position. So this summer I have had the pleasure of learning from the policy team at CCAoA. I was not really sure what my experience would be like but what I did know was that this organization is the nation’s leading voice on child care so I was quite confident that it would be a positive one. I have learned so much working with amazing, intelligent and passionate individuals. Further, I truly believe that the work done at Child Care Aware® of America is not only vital to the success of children but to our country as a whole. Early childhood education and child care provide an atmosphere that facilitates strong early development and promotes school readiness. These factors greatly increase children’s chances of success and open pathways that may have been otherwise unavailable. When children get a good start they are more likely to graduate high school, go to college and stay out of the juvenile justice system. This experience taught me what it means to be a strong advocate and promote policies that could have a huge impact on our most vulnerable citizens. Quality affordable child care is important but I have realized it is even more than that, it is a necessity. The unfortunate reality is that many children do not have the access, means or support that I did growing up. Many children may never have the opportunity or ability to pursue their dreams. Without these services many families face significant roadblocks to prosperity and are simply unable to pull themselves out of the cycle of poverty. These facts are unjust and unfair. Every child in this country should have access to opportunities, regardless of background or socioeconomic status. Every child deserves a chance to dream BIG and find success. Early childhood education and child care is the answer and I have learned what part I can play in making that idea a reality. Thank you, Child Care Aware® of America for solidifying what is important to me as an individual and as a young professional. I have learned so much about myself, policy, and the importance of being an advocate. I will be leaving this experience with a profound desire to be a part of something much bigger than me. For all these things and more, this was a remarkable and irreplaceable experience. For most college students the arrival of summer means relaxation, the stressful all night studying comes to a cease, and they spend their time poolside, soaking up the sun, and the thought of work or school does not cross their mind until the fall semester comes back around. However, for some students, like myself, both anxious and indecisive, and looking to gain real-world experience, we spent our summer interning. This summer, I had the opportunity to intern in the Nation’s capital, Washington, D.C. (Well, Arlington, Virginia…still pretty close) with Child Care Aware® of America’s (CCAoA) policy team, and I can honestly say that my experience has been nothing less the phenomenal! As long as I can remember, my parents have drilled the importance of my future into my brain, and as a rising junior in college it is finally starting to stick. My past years of college have been filled with trying and getting to know different fields of study, and liking but never loving really any of them. This past semester, after taking political science and social work classes it all clicked for me, I realized I wanted to advocate but had no idea how to mix advocating with my love of politics and public relations. This dilemma motivated my search to find an internship where I could hone both of these interests, and that’s when I came across Child Care Aware® of America. After interviewing with Child Care Aware® of America, I knew this is exactly where I needed to be. I cannot describe my first week in the office as anything less fascinating. My first day was spent on Capitol Hill where I got to listen to important briefings and government issues, and report back to my bosses, and I can say every day following has been just as great as the first. I am very proud and thankful to be a part of it what Child Care Aware® of America is doing. The work done at CCAoA is extremely fulfilling, everyone is extremely passionate about their work here, and as an intern it is only motivation to work harder. During this summer internship, I have been given the opportunity to work on government documents, advocate for the importance of affordable and quality child care for families, and enjoy some of the best food places in Arlington with intern lunches! What I have learned from my summer with Child Care Aware® of America is invaluable – this internship has turned out to be one of the best summers of my life, and has assured me that this is the work I want to do. I am extremely thankful to Child Care Aware® of America, especially the policy team, for giving me such a wonderful experience. What I learned here will stick with me for a lifetime! One of the most pressing issues that families and educators both face today is raising children to be both culturally competent and sensitive to their environment from a young age. It is vital that children learn how to respect and accept people whose culture and background differ from their own. Without implementing these values into our children, we put them at risk of growing up into adults who contribute to the problems brought on by the discrimination in society. It is the responsibility of educators and parents to help prepare children at an early age with the knowledge, attitude, and skills to be able to excel in our complex and diverse world. The infrastructure of self-awareness begins at the infant and toddler stages, it is during this time period that children begin to understand who they are. In fact, according to Scan Virginia, children as young as two, start to become aware of differences such as gender, ethnicity, and disability. It is also during this time of adolescence that children become sensitive to both the negative and positive attitudes and biases attached to identity as reflected by their family, school, community, or just the world in general. According to UUA’s general assembly of 2012, it is by the age of 9, that children’s cultural attitudes are set in, and tend to stay constant, unless the child is faced with a life changing event. This is why it is imperative to teach children cultural competence at ages early as preschool. The task and responsibility of teaching cultural competence to preschool aged children is one that many may find burdensome. However, it can be quite straight forward. With young children, educators and families can start with activities such as doing skin color match-ups with flesh colored crayons, doing thumbprints to show the similarities and differences among other children, or even having children explain to each other their family’s traditions. The best place to implement these activities would be in a place that is diverse, such as a classroom. When children are taught to understand these cultural differences, they are more likely to accept them. To ensure, early education facilities are taking the necessary steps to promote cultural competence, regardless of the activities one chooses to do that, the reauthorization of the Child Care and Development Block grant (CCDBG) will provide training to parents and educators to prepare them with the necessary tools to provide high quality education on cultural diversity among other things. With the collaboration of educators and families, we can teach children cultural competence and acceptance, and shape them to be the future leaders this community needs. Over the past two months working with CCAoA as a policy and research intern I have explored a variety of topics and gained so much valuable experience –I’ve learned about the importance of accessible and affordable child care, how to advocate for positive policy change, how to analyze legislative language, and much more. The first day of my internship I felt nervous and uncertain of what to expect. Is my outfit actually business casual? Is this the correct building? What is a CCDBG? Am I asking too many questions? Thankfully, I was given the first few days to acclimate to my new environment. I did A LOT of reading and research. This thorough research provided me with a solid basis that prepared me for several projects throughout my remaining weeks. 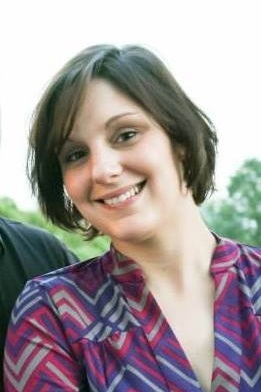 I worked on a variety of projects including updating a database for state child care requirements, attending webinars, working with social media, and creating advocacy tool kits. I also had the opportunity to attend briefings and hearings on the Hill, which was my favorite aspect of my internship program. I enjoyed getting an inside look as to how policy gets discussed and passed through our government. The experience has encouraged me to step up my advocacy efforts and to get more involved with civil discourse in the future. One of my favorite briefings was hosted by Save the Children, and the conversation centered around disaster preparedness policies for children, with a focus on the aftermath of Hurricane Katrina. As a student at Tulane University, which is located in the city of New Orleans, I found this discussion to be particularly relevant and enlightening. The speakers discussed that while progress has been made in the implementation of appropriate and effective disaster plans for children across the nation, significant amounts of work still remain to be accomplished. This briefing left me feeling inspired to get involved with this issue and I plan to do so once I return to New Orleans next semester. More than anything, my time spent at CCAoA has reinforced the idea that whatever my future career endeavors turn out to be, I feel compelled to work with an organization that strives to improve the well-being of our country. I’m inspired by the determination and passion exhibited by the policy team each day at CCAoA, and admire their dedication toward a cause they truly believe in. I feel fortunate to have had an internship here this summer and look forward to becoming a more active advocate for children’s’ rights and other public policy that concerns the well-being and prosperity of all Americans. Children enjoy a nutritious summer meal served at the Sandston Woods Apartment Complex in Henrico County, VA. Photo by USDA.gov. Earlier this week, the sponsors of the “Summer Meals Act of 2015” (HR 1728/ S. 613) held a briefing on Capitol Hill. This legislation is a bipartisan and bicameral measure focused on the improvement and expansion of Summer Nutrition Programs. The Senate version is sponsored by Senators Kirsten Gillibrand (D-NY) and Lisa Murkowski (R-AK), and the House version (H.R. 1728) is sponsored by Representatives Don Young (R-AK) and Rick Larsen (D-WA). Summer Nutrition Programs help provide children from low-income families, relying on low cost or free meals during the school year with access to healthy and nutritious meals during summer months as well. This legislation is essential to children’s learning, development and health. These programs are implemented in many ways such as child care facilities. The Summer Meals Act of 2015 focuses on improving Summer Nutrition Programs in four major ways. First, it proposes to change the eligibility standard. Currently, a site must have 50% of the children within the area eligible for low-cost or free meals in order to qualify for Summer Nutrition Programs. Under this proposal this standard would be lowered, making the requirement only 40% of children. The administrative process will be simplified enabling sponsors to provide children with meals year-round without having to apply separately to operate during the summer. At this time, agencies are providing children with only two meals per day but this proposal would increase that to three meals per day. Finally, it proposes making transportation grants available to sites enabling them to reach children in under served areas. Not only do these programs provide children with the healthy meals they need but they also create an arena for continuous learning and help prevent the loss of learning over the summer. Further, these sites create an environment that will guide at-risk youth on a path toward success and help to pull them out of the cycle of poverty. For more information on this bill, click here. 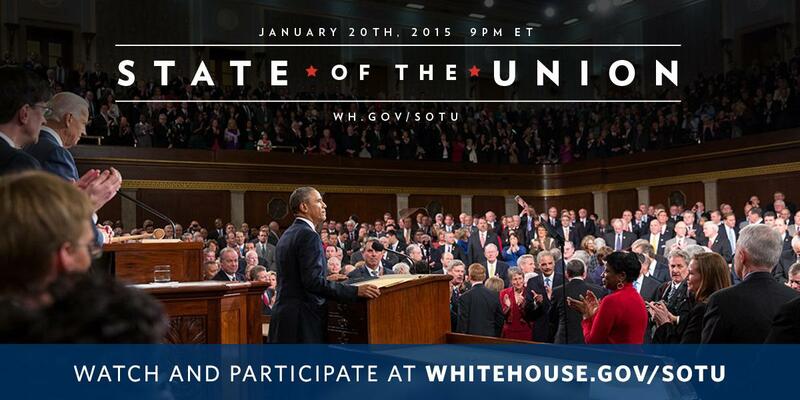 Tonight, January 20, 2015 at 9PM Eastern, President Barack Obama will deliver the annual State of the Union address. President Obama’s State of the Union address will focus on middle-class economics and provide some new proposals to help families offset the burden of child care costs. With the cost of infant and toddler care rivaling the cost of college in many states, the average child care tax benefit of $550 falls well short of what is needed to provide meaningful help to working families. The Child and Dependent Care Tax Credit and child care flexible spending accounts are also unnecessarily complex, often requiring significant paperwork and advanced planning for families to receive the full benefits. Triple the maximum Child and Dependent Care Tax Credit (CDCTC) for families with children under 5, increasing it to $3,000 per child. Families with young children face the highest child care costs. Under the President’s proposal, they could claim a 50 percent credit for up to $6,000 of expenses per child under 5 – covering up to half the cost of child care for preschool age children. As summer draws to end, so does my health policy internship with Child Care Aware of America. Reflecting on the past ten weeks, it is hard to believe how much I have learned and how much I have done. I went from stopping to think “Child Care and Development Block Grant” before saying “CCDBG” to it rolling off my tongue. I attended webinars and subcommittee calls, in the office, and got out of the office for briefings on the Hill. The first few days I was at the office, my head was buried in books and various publications and presentations about the child care sphere. My third day, I attended a CCDBG briefing on the in Hill in the morning and sat through a webinar in the afternoon. It did not take long for my calendar to fill up with subcommittee calls, webinars and briefings: attend this, take notes on that. I quickly became well-versed with the current legal state of early care and education as well as becoming well-versed with the health initiatives and policies. One of the first subcommittee calls I sat in on was Farm to Preschool (F2P). I remember someone saying that family child care homes and small centers have a hard time participating in the program because they simply lacked the buying power to make it economical or to entice farmers to work with them. This one comment inspired my research for the summer. I was determined to figure out how to use already existing infrastructure to make F2P economical for family child care homes and small centers, and enticing for farmers to work with them. Now, I am writing a policy paper suggesting how Pennsylvania might leverage its resources so that F2P can be a success. My research connected me with professionals, all across the nation (and some who teach at Temple University, which I am currently attending! ), dedicated to improving health and wellness policies in early care and education. They provided guidance and materials to help with my research. Hopefully, those have also become life long career connections. My research also led me to other webinars and briefings that I was encouraged to attend. There are two that stand out for me. The first is a TEDMED talk, Great Challenges: A Candid Conversation About Childhood Obesity. This particular talk stands out because Risa Lavizzo-Mourey, president and CEO of the Robert Wood Johnson Foundation (RWJF), spoke and answered questions. RWJF is a leading contributor to researching childhood obesity, and supporting health and wellness initiatives in early care and education. This talk also stood out because Don Schwarz, the former Health Commissioner and Deputy Mayor for Health and Opportunity in Philadelphia, spoke. Under his commission, childhood obesity in the city, declined nearly 5 percent! Not only did I feel a sense of pride, being from that area of Pennsylvania, it gave me hope; if Philadelphia can do it, so can other towns, cities, and states! I was also able to attend a briefing at the Senate Building, Improving Healthy Eating and Physical Activity in Early Care and Education: Commitments, Challenges and Accomplishments, my exact topic of choice! At this event, two individuals running food and nutrition policies in child care centers spoke about how they have succeeded in implementing healthy menus. Two other experts, Debbie Chang of Nemours and Dr. William Dietz from George Washington University, spoke about the prevalence of obesity and the need for children to eat healthy meals and snacks. This talk reminded me, that although there is hope, there is still a long way to go. And it is a long way back to Philadelphia. It is hard to believe I am returning to classes in the upcoming weeks. However, thanks to my time at Child Care Aware of America, I return to classes, remembering why I decided to go back to school. I return refueled with passion for children’s health and wellness policies. On Tuesday, June 10th, the Senate Appropriations Subcommittee on Labor, Health and Human Services, and Related Agencies held a markup on the Fiscal Year 2015 spending bill for the Labor-HHS-Education Appropriations Bill. The subcommittee, chaired by retiring Senator Tom Harkin (D-IA) approved the fiscal year (FY) 2015 appropriations bill that provides $156,773,000,000 in base discretionary budget authority, the same as the FY 2014 level. In addition, the bill includes $1,484,000,000 in cap adjustment funding, permitted under the law, a $560,000,000 increase, to prevent waste, fraud, abuse and improper payments in the Medicare, Medicaid and Social Security programs. The spending bill provides a combined increase of $348,327,000 for key early childhood care and education programs; Head Start, the Child Care and Development Block Grant, Preschool Development Grants, and IDEA Grants for Infants and Families. Together, they address the entire age range of birth through age five. Head Start— The Committee recommendation includes $8,742,845,000, a $145,000,000 increase, for Head Start. Preschool Development Grants—The Committee recommends $350,000,000, an increase of $100,000,000, to continue support for Preschool Development Grants. Early Childhood Statewide Longitudinal Data Systems—The Committee recommends $34,539,000, the same amount as the current year, for statewide longitudinal data systems. The full committee will meet later this week, with House action yet to take place on the funding levels for the same programs. The House Education and the Workforce Committee, chaired by Representative John Kline (R-MN) recently announced that the Committee will hold a hearing on CCDBG Reauthorization after the Senate approved legislation by a vote of 96-2 to reauthorize the Child Care and Development Block Grant (CCDBG) program. During the hearing, the Committee members will hear from 4 panelists, including Paula Koos, Executive Director of the Oklahoma Child Care Resource & Referral Association, Inc. The hearing will take place on March 25th, 2014 at 10am Eastern. To learn more about the hearing, click here. To watch a live webcast of the hearing, click here. This week, the Obama administration released its $3 trillion-plus 2015 budget, calling again for a significant commitment to high quality, early childhood opportunities for young children. This is the sixth budget from President Obama and the second time he has put early childhood high among his priorities. In addition to calling upon Congress to enact his historic Preschool proposal, the President’s budget would increase Head Start by $270 million, Early Head Start-Child Care Partnerships by $150 million, Preschool Development grants by $500 million, and CCDBG would be increased by $57 million, serving 74,000 more children than in 2014. Also, and importantly, $200 million of the Child Care and Development Fund would be dedicated to helping states raise the bar on quality by developing better health and safety standards, improving and increasing provider training, and improving parental access to information. The 2015 budget proposal also recognizes the significant cost barrier for many families seeking access to high quality child care in their communities. The President’s budget includes an expansion of the child and dependent care tax credit targeted at families with children under five years old, providing an average tax cut of $600 to at least 1.7 million families. While the President’s budget is not expected to be acted upon this year, it was important for the White House to set forth their visionary goals and statement of our values and priorities as a Nation. These goals will inform members of congress and especially appropriators as they begin their work for the next fiscal year’s funding. The fact that in this challenging fiscal environment, early childhood was one of the few “winners” in the budget should not be ignored. The President, and indeed many in Congress, recognize that our economic future depends on the next generation and that we either invest now, or pay the consequences later. Our nation simply cannot afford to continue the present course where parents can’t find quality programs for their children, or when they do they can’t afford them. We cannot continue down the present path where fewer than one-third of 4-year olds are enrolled in a high-quality preschool program. If America wants to lead, we need to begin to lead with our young by making the up-front investments known to be critical for lifelong success.